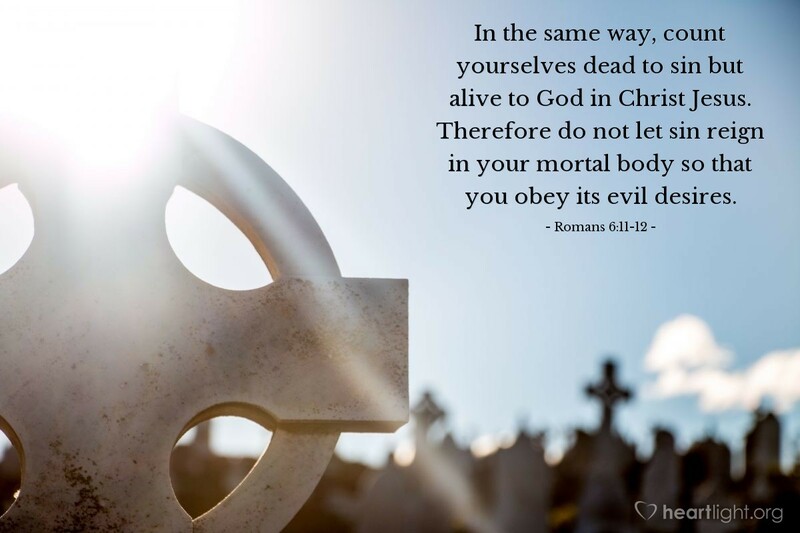 If we have been cleansed from perversity, if we have died with Christ in baptism and have been cleansed thoroughly and completely by the Holy Spirit, then let's live for God! Let's resist sin, and our inclination to sin, with all our might, knowing that as we do, the Holy Spirit will empower us to a much greater righteousness than we could ever live on our own. Let's begin each day with a conscious decision to be dead to our sinful past and alive to the goal of the holy character of God! Loving and Righteous Father, Almighty God, help my heart remain firmly committed to your will and more fully conformed to your holy character and grace. In the name of Jesus, my Savior and my Lord. Amen.